Aprilia Agip Tricolore Stickers. 3" Pair. Aprilia Cut Vinyl Text Stickers. 6" Pair. Aprilia Flying Mythos Stickers. 4" Pair. Aprilia Helmet Visor Straight Sunstrip Sticker. 12". 50mm Tall. 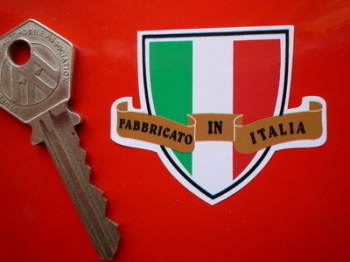 Aprilia Italia Tricolore Style Stickers. 2" Pair. Aprilia Moto Made in Italy Tricolore Stickers. 3" Pair. 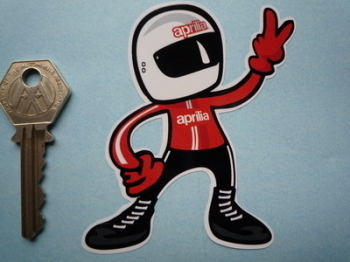 Aprilia No.1 Stickers. 4" Pair. 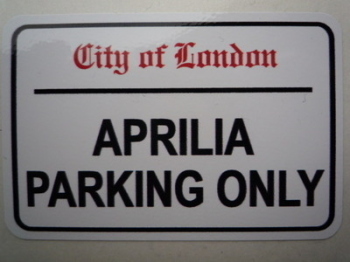 Aprilia Parking Only. London Street Sign Style Sticker. 3", 6" or 12". Aprilia Racing Stickers. 5", 7" or 9" Pair. 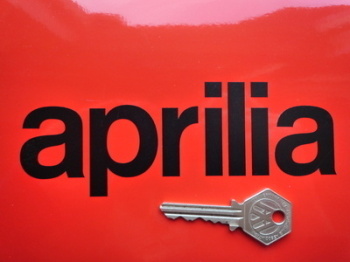 Aprilia Red & White Text Stickers. 3" or 6" Pair. 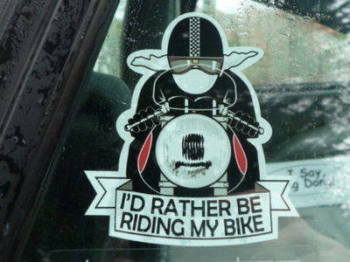 Aprilia Rider 2 Fingered Salute Sticker. 3.5". 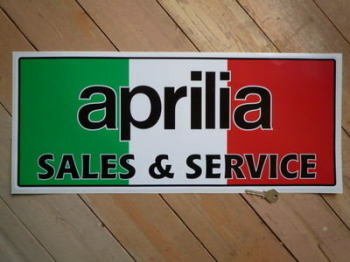 Aprilia Sales & Service Sticker. 23.5". Aprilia Sport Oblong Stickers. 6" Pair. Aprilia Text Stickers. 4" Pair. Aprilia Winged Helmet Sticker. 3.5". Aprilia World Superbike 2011 Garland Sticker. 2.5". 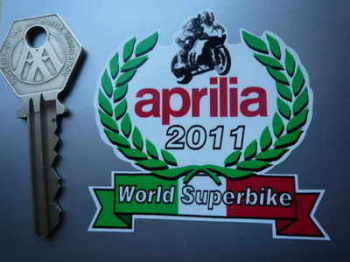 Aprilia World Superbikes Flag & Scroll Sticker. 4", 6", or 8". Aprilia Worn & Distressed Helmet Visor Straight Sunstrip Sticker. 12". 50mm Tall. Moto Aprilia 6.5 Orange & Silver Stickers. 50mm, 54mm, or 70mm Pair.